"2nd Tuesdays" @ Arbor Brewing Co. 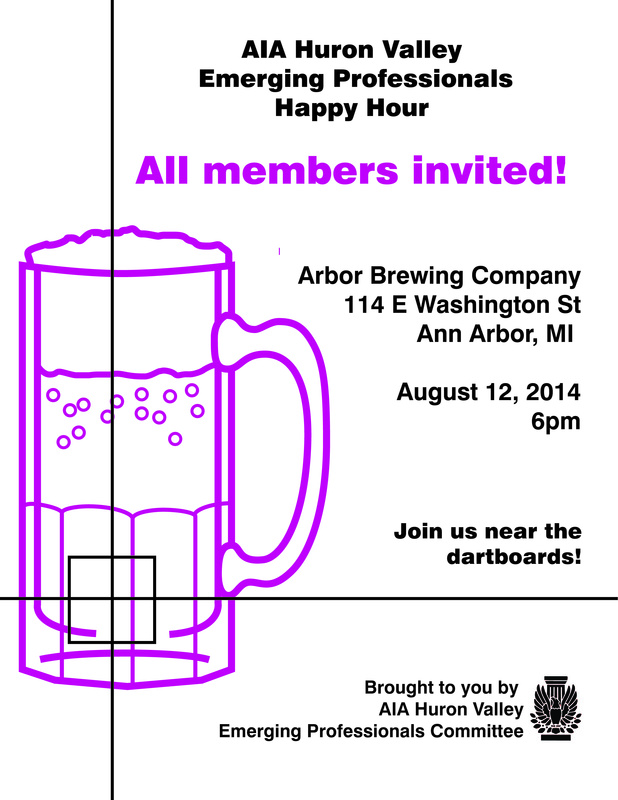 Please accept our invitation to join your fellow Huron Valley EP and Associate members at Arbor Brewing Company (by the dartboards) at our happy hour for all things architecture! ** AIA Huron Valley Associates, Emerging Professionals, and members at large are invited. We’d love to see you all! ** If you know of someone that may be interested in joining AIA or hasn’t participated in a while, of course please invite them along! The more the merrier! ** There is no registration fee for this event. ** This is a Cash Bar event. We look forward to meeting you all, sharing a beverage or two, and hearing from you how we can best serve your interests and needs.